Their eyes appear almost veiled, hiding behind a mask of innocence which conceals them almost too well. 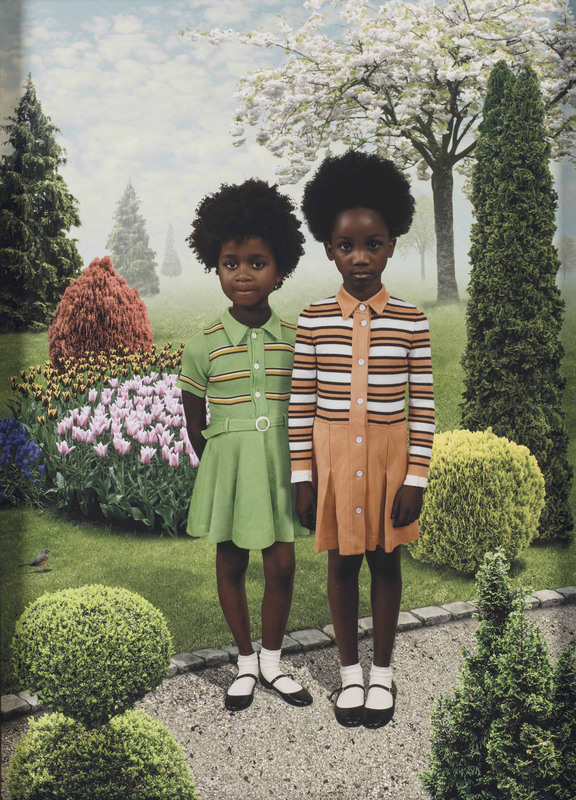 They’re the protagonists of the works of Ruud Van Empel, visual artist and photographer of Dutch origin. 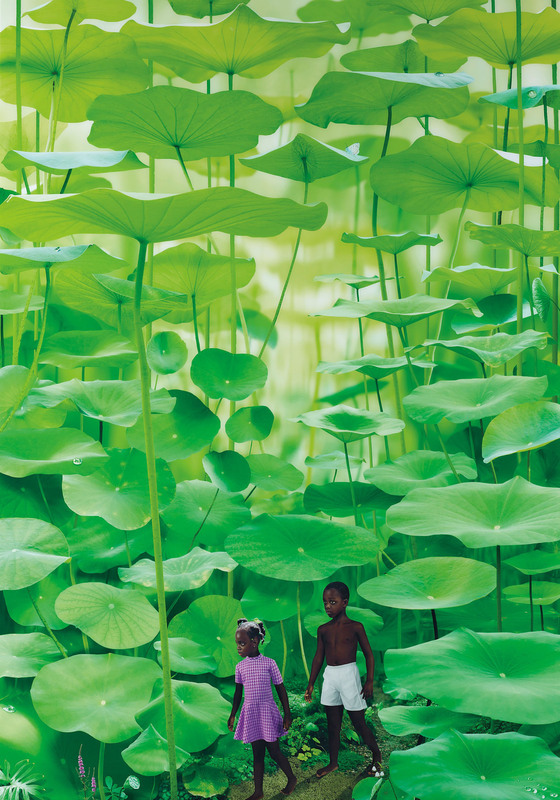 Brought up during the sixties, when photography experimentation went along with the questioning of the social status-quo, Van Empel found in photography a tool useful to investigate and express the vivid reality. 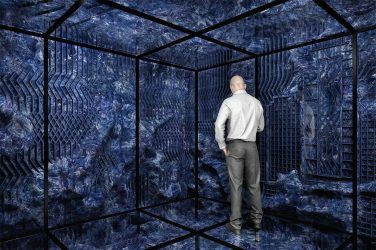 From the psychedelic geometries of The Office (1995-2001) to the innocent faces of World-Moon-Venus (2006) which look into the viewer’s soul. Candidness is a defining feature of his portraits which is captured on the film while the subjects stare at the lens of the camera without hiding anything. 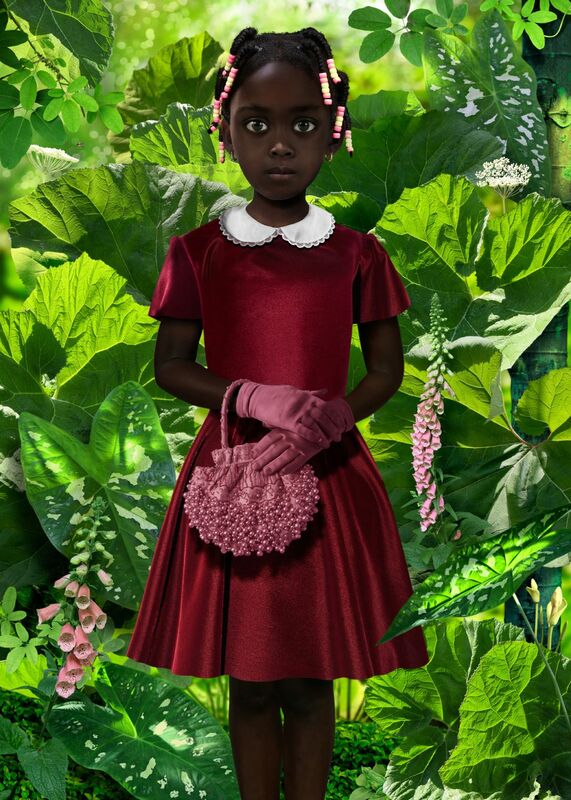 The collection World-Moon-Venus is what gave Van Empel a place among the most recognized portraitists of the real world. The images are hyperbolic but at the same time in the look of the protagonists one can see a profound message which goes beyond the environment in which they’re photographed. Among the luxurious, almost heavenly, vegetation, children pose laying like sculptures recalling the mannerisms of the classic art. In the meantime their gaze is so direct and sincere that is able to show through their eyes every aspect of their humanity. Another way of representing reality, through the use of a metaphor, is creating a new tailored world on canvas. This is how Van Empel decided to create, between 1999 and 2002, a new controversial collection, Study for Women, depicting a “constructed” portrayal of women where defects are softened or even removed in order to show what’s the perceived ideal imagery of society. Looking at this forged hyper-reality in which the women, subjects of the works, are placed, and thinking about the mere brutality with which they want to portray the present, one cannot help feeling fascinated by the technique used by the artist in every single piece. The women’s eyes seem to tell countless stories and the environment surrounding them adds a great deal of tension. 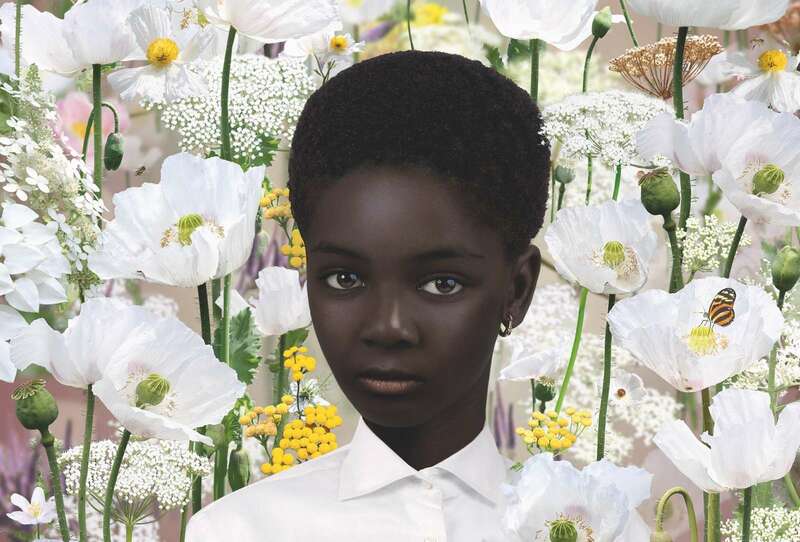 “This generates discomfort” Van Empel says, “it’s a sense of embarrassment which comes from what people used to find shocking at the beginning of the twentieth century”. And that’s what Van Empel wants to tell with his works, seeking for moral, ethic and aesthetic truth, investigating the predicaments in society and in the art of our time. Suffering, pride and curiosity appear among the details of his films, the protagonists enter a visual imagery which stays stuck in the observer’s mind. The research for the true expression of reality is incessant and once again the artist, with the Solo Work collection (2011), puts children at the centre of his artistic investigation. Once more the lush wilderness dominates the background but the attention is immediately caught by the look of the children which become the focus of the work. The collection will be completed in 2019 when new pieces by the artist will be released. For now one can wait and feel overwhelmed by the abundance of the nature and the penetrating but innocent stare of the subjects portrayed, as if one is kept in between the dreamlike reality which is everyday among us.